This is the week for free online programs! 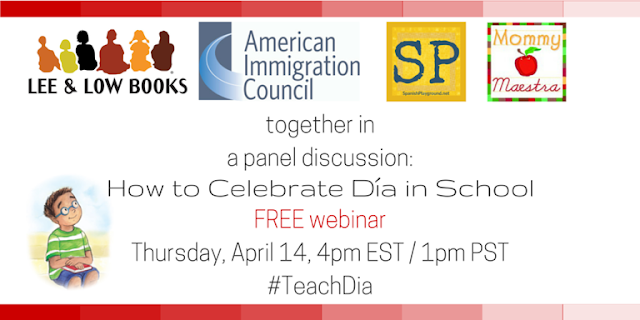 I'm excited to share that I'll also be a panelist discussing how to celebrate Día de los niños, Día de los libros in your school. Not sure you have time to host a Día celebration? Don't have budget to buy materials? Already have something planned for April 30th? Our webinar answers all these questions and more. This free webinar is being hosted by Lee & Low Books and takes place tomorrow, Thursday, April 14th at 4pm ET/1 pm PT. Did you know that Día is turning 20 this year? The program is for educators and parents to celebrate and teach about Día de los niños, Día de los libros. Día de los niños, Día de los libros began 20 years ago when Latina author and poet Pat Mora was on a radio show and heard about the Mexican holiday, Día de los niños. Children's Day is actually a holiday that is celebrated around the world, but it wasn't a celebration that had caught on here in the United States. Mora had the idea to combine the holiday celebrating children with books and reading. And Día was born. Claire Tesh, Senior Manager of the Community Education Program at American Immigration Council; Carolyn Vidmar, Public Librarian and Summer Reading Program Coordinator at Spanish Playground; and Susan K. Coti, professional storyteller and educator. And I think you will especially love the packet of free resources that have been compiled for attendees. 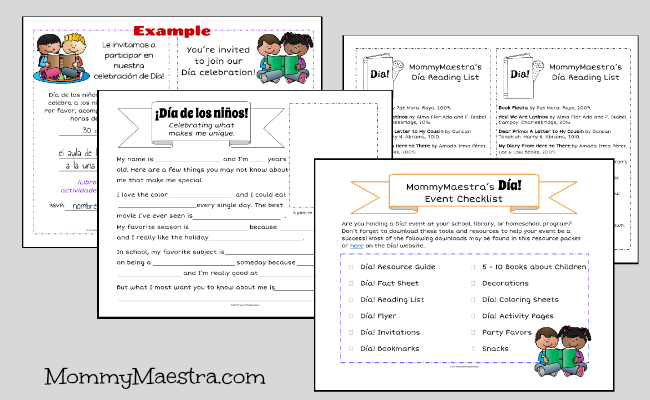 From lesson plans and reading lists to printable worksheets, bookmarks, and more, you'll find plenty of printables to help you with your own Dia celebration. 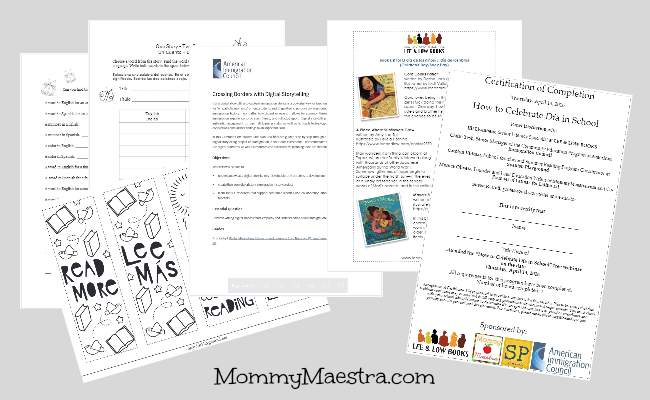 It even includes some great printables that I created for you! So be sure to go and register today! The good thing is that if you can't watch it live, it will be recorded and you can go back and watch it at your convenience.